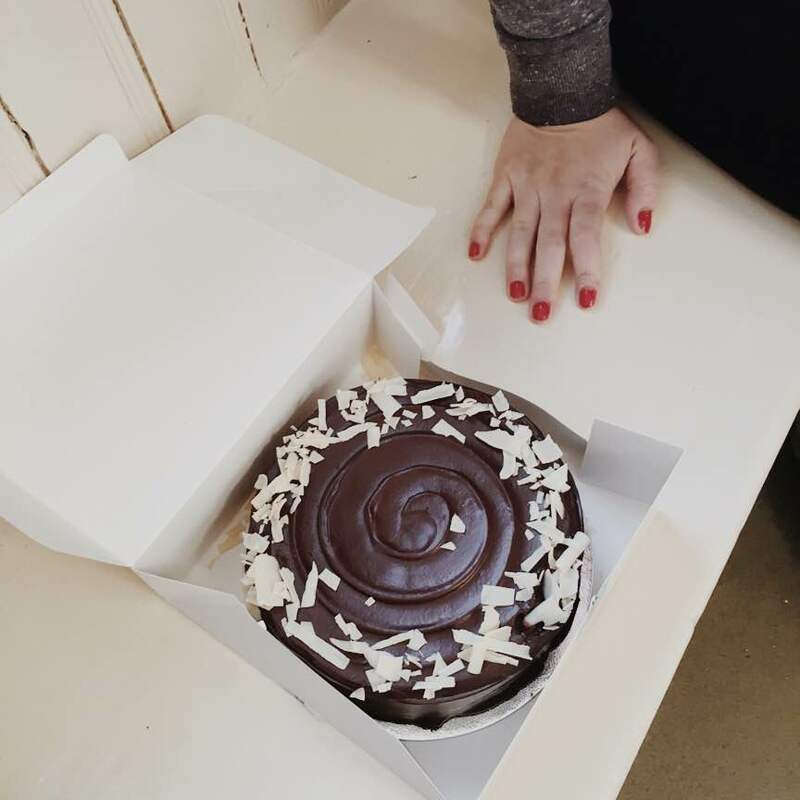 Even in a busy week we make time to celebrate birthdays, because cake is important. This one is for James, who turned 21 this week. Photo: CL, with an iPhone 6 and VSCO. 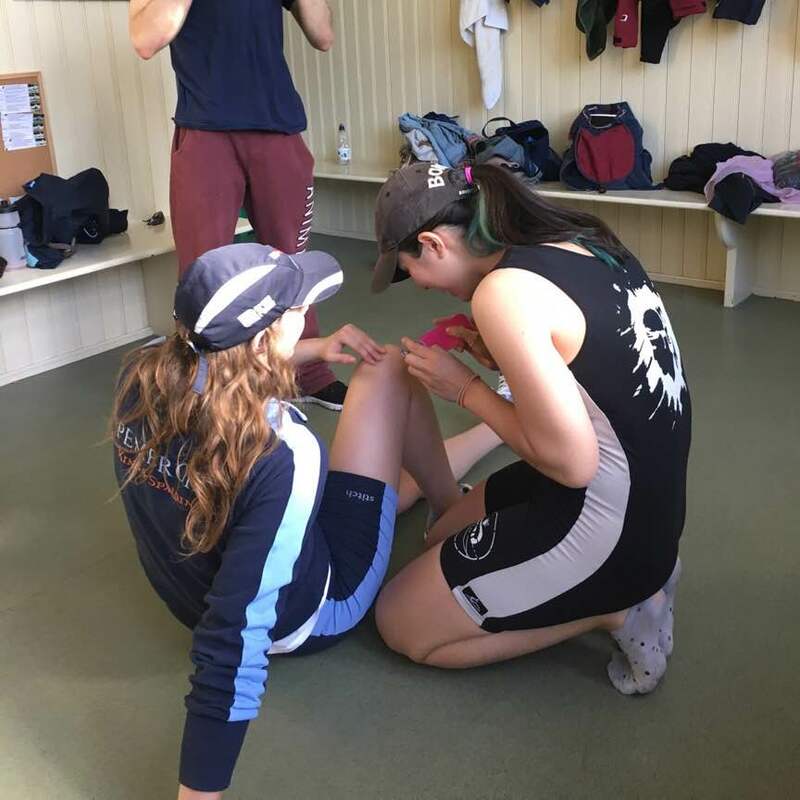 Here follows Courtney Landers’s third part of her diary about how she and her team mates in Pembroke College BC’s W1 prepare for May Bumps on the River Cam. After all my blustering about terrible weather last week, this week has brought some of the best evening rowing of my entire time in Cambridge. The weather has been clear and calm, warm enough for bare legs and at times bare arms, which is absolutely wonderful after months of restrictive layering. 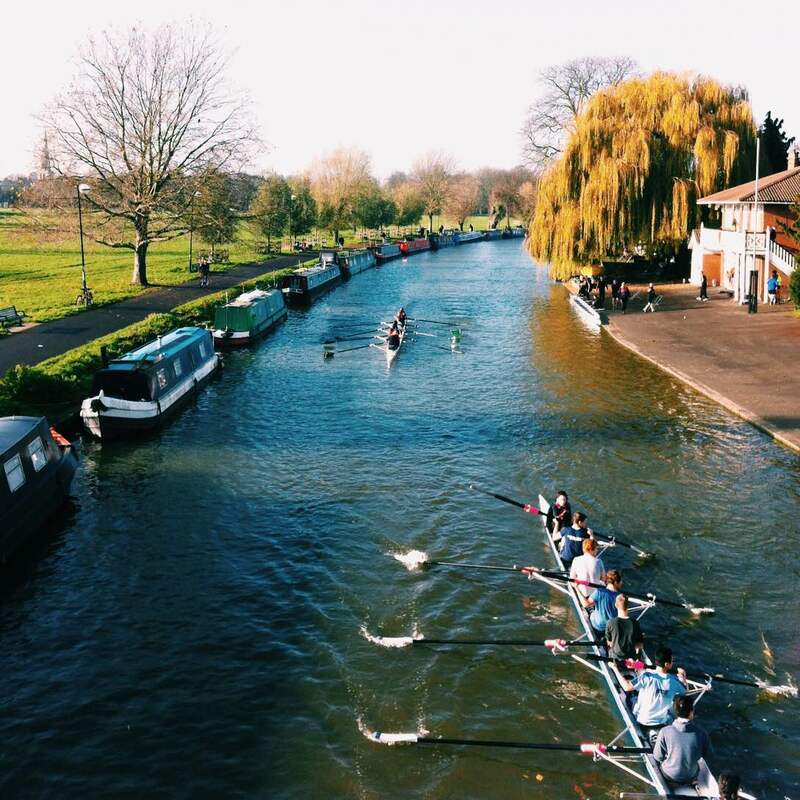 Good weather is a blessing when you’re spending as much time on the river as we have this week, especially since this week also sees the start of Easter term and thus commencement of exams. Coverage of the Boat Races always discusses the special nature of the ‘scholar athlete’. The University crews must balance hours of daily training with all the same lectures, tutorials, supervisions and assessments as the other students on their courses. Although college rowing demands nowhere near the same amount of time, fitting it around studying still presents a challenge. One of the reasons morning outings are so very early is the need for rowers to get to 9 a.m. lectures. It’s not uncommon for someone to have to sprint out of the boat the moment it lands back on the hard, pedaling off to their department still in their kit and without a chance to eat breakfast. As a Ph.D. student, I’ve enjoyed the luxury of a flexible timetable, but even for me it can be a stretch to get showered and breakfasted quickly enough to start my experiments on time. 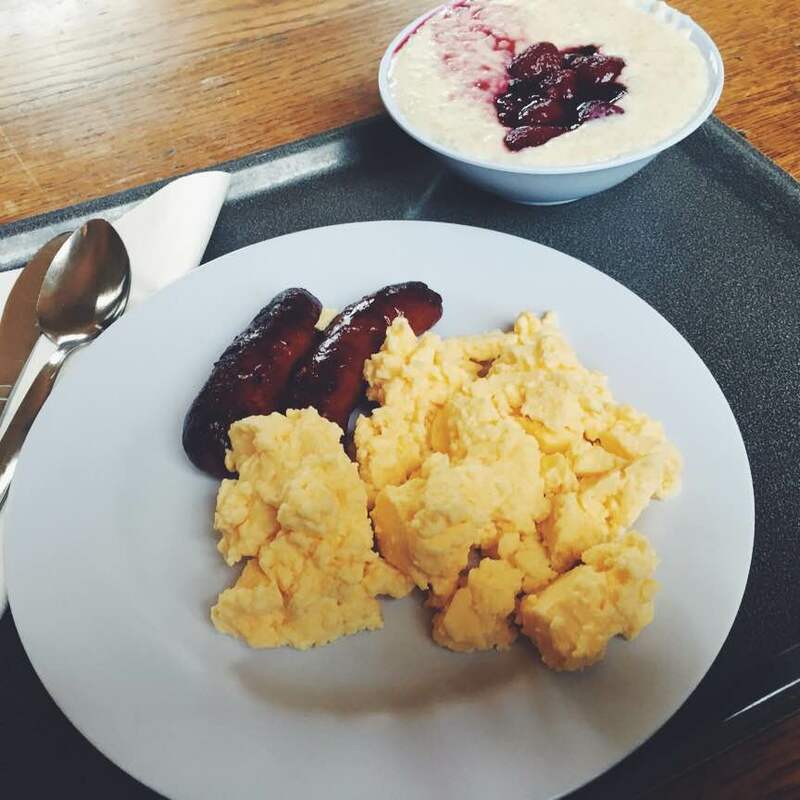 Pembroke students are lucky enough to have the option of purchasing breakfast from the college kitchens, which during term time includes porridge, freshly made omelettes and paninis, and all the sausages and eggs you would want. My regular breakfast from Pembroke’s kitchen, the affectionately named ‘trough’. Photo: CL, with an iPhone 6 and VSCO. This week is exam week for the two final-year Architecture students in our boat, including our stroke-woman Audrey Claire Lejeune. Audrey is an international student who seems to have a limitless supply of energy and enthusiasm. This year alone, she’s been International Officer for the college undergraduate committee, organised weekly foreign film nights and assisted with some of the many international student exchange programs that run through Pembroke. 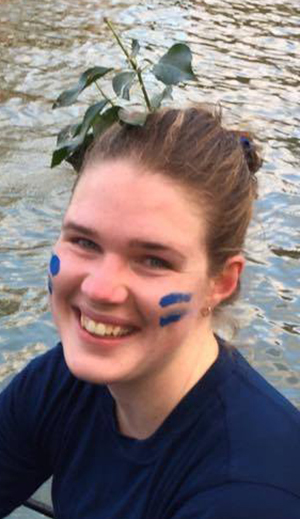 She’s also this year’s Regatta Secretary for the club and successfully tried her hand at coxing in Michaelmas. Appropriately for a stroke-seat, Audrey is a bottomless well of confidence and sass, keeping things lively. This term she has dyed a portion of her hair Pembroke blue, no small undertaking given she had to bleach it first. Audrey rowed in six-seat for W2 in Lents last year. This picture was taken on the row home from our first ever bump, which is why we’re all grinning like idiots. Photo: Giorgio Divitini, a regular photographer of Bumps and other races on the Cam. Audrey helping our five-seat and fellow Architect student Emma apply tape to support her knees. These two are inseparable outside the boat. Photo CL, with an iPhone 6 and VSCO. Exams don’t mean we do less work in the boat. This week, we’ve been doing daily ‘double runs’. A ‘single run’ on the Cam means rowing all the way downstream to the spinning zone at Baits Bite Lock, and then back to the spinning zone downstream from the Green Dragon Footbridge, colloquially referred to as the ‘P&E’ after the Pike and Eel pub that used to stand there. 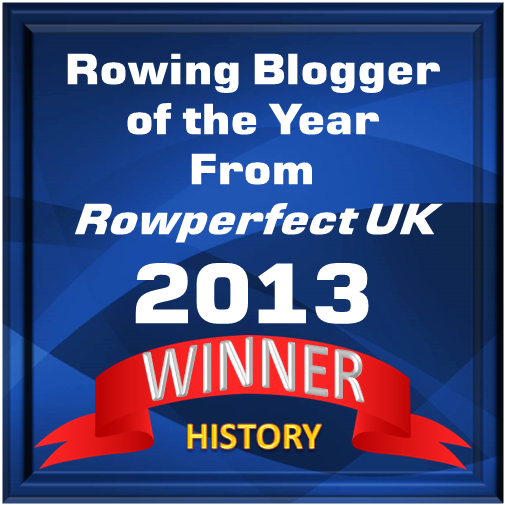 As a novice, even a single run seemed a long way – many novice boats only row half that distance to the spinning zone at the end of the Long Reach, the longest ‘straight’ section of the river. The best available map of the rowing portion of the Cam. The stretch between the P&E and the lock represents the most ‘rowable’ portion of the Cam –upstream from here the river is much narrower, more crowded with residential narrowboats, and lined with the hards of the many boathouses. For this reason eights are restricted to low rates above the Green Dragon Footbridge; the only time we’re allowed up to race pace is during the annual Fairbairn Cup, a head race over 4.3km of the Cam’s 5km length. The speed restriction has good reason behind it. It’s not uncommon to have to easy and pull blades in on one side while trying to pass a crew coming the other way. Boats with novice coxes often have to fend off the shell from stationary narrowboats, which is why most narrowboats owners festoon their boats with fenders of all shapes and sizes. A view of the Cam in front of and upstream of PCBC’s boathouse, taken from the nearby footbridge. The boathouse on the right belongs to Clare Hall Boat Club. Photo: CL, with an iPhone 6 and VSCO. 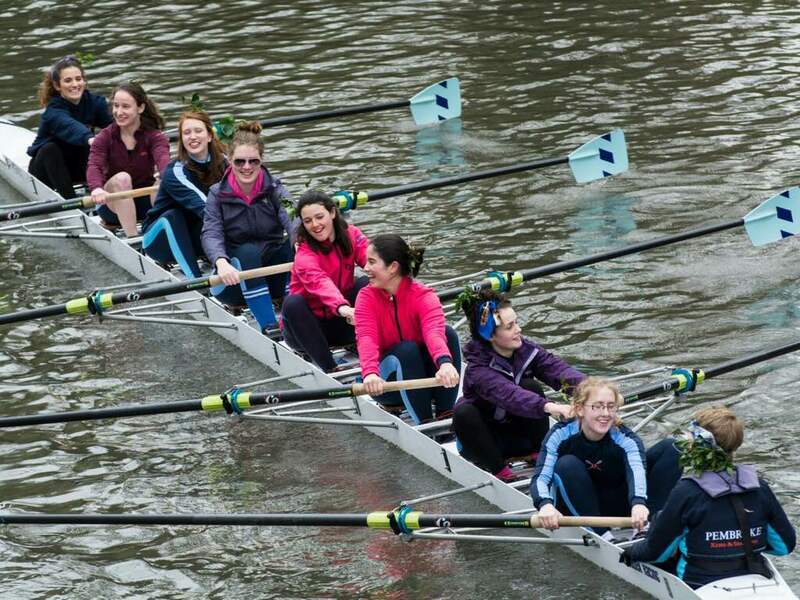 I’ve neglected to describe how bumps works this week – given that we had our first race of the term yesterday, I thought it fitting to include next week alongside a portrait of current rivalries on the river and how we’re all shaping up so far. I’ll also introduce you properly to our five-seat Emma.